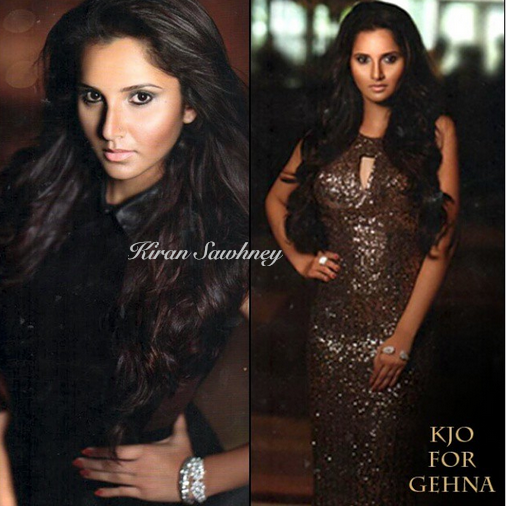 Sania has recently modeled for K Jo for Gehna. She wore a copper shimmery gown. We find that her makeup has too much of bronzer and there is a patchy look. Leaving that aside, she looks good.